This is a four day conference. This intensive four-day programme uses the latest MBA thinking and techniques to focus on the real and challenging issues that are confronting today’s in-house legal departments. 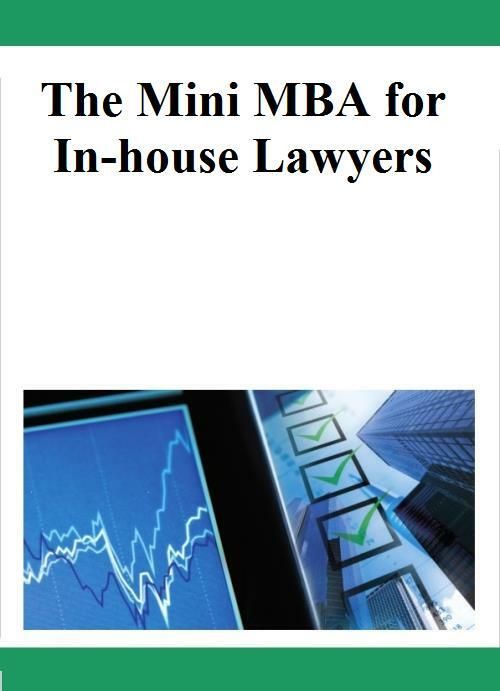 The expert trainers from a legal and business background will share with participants their own experiences from working as in-house lawyers and business managers. They will refer to and explore up-to-the-minute management and leadership methodologies and techniques. This programme also offers a unique networking opportunity to share existing best practice and establish industry-wide norms with colleagues from different organisations and countries. Measure and boost the performance of the legal team through valuable assessment and coaching. Mark Prebble worked for ICI and The BOC Group plc in the UK, and Biogen and SGS in Switzerland during his 21 years as an employed in-house lawyer. He held the positions of General Counsel at SGS and Group Legal Adviser at The BOC Group plc. Since 1998 when he established Lawyers in Business, Mark has worked with in-house legal departments, providing coaching and support for in-house lawyers, wherever located, on management issues, legal department performance and projects involving raising legal awareness. He has written Managing In-house Legal Services for Thorogood Publishing. Robert Mowbray is one of the longest standing and most widely known trainers of professionals having worked in and with law, accounting and other organisations for over 25 years. He is renowned as a trainer in things ‘financial’ and has considerable experience of helping lawyers to read financial statements and in helping professional firms to increase profitability through more efficient and effective working practices. Robert was the author of Maximising the Profitability of Law Firms and has trained or consulted with over 400 firms in over 20 countries. He has been voted Trainer of the Year by the Legal Education & Training Group and is the current author of the annual financial benchmarking survey organised by the Law Management Section of the Law Society. The unique experience that Robert has gained puts him in a position to independently and authoritatively help in-house legal departments understand strategic financial management and how they can build effective relationships with external law partners. Graham Boyd is known for his success in leading people, business, research, strategy and multi-stakeholder dialogue. He integrates hard skills with soft skills, to enable clients to connect the organisation’s purpose and strategy with the behaviours required. Over the past ten years his focus as entrepreneur and business transformation consultant has been on what has recently become known as Teal, or self-managing and deliberately developmental organisations. Graham started his professional life in high energy physics and computing then moved into Procter & Gamble, where he led the successful development of new products and new organisations. He combined complex systems thinking: seeing the whole, the interactions, and the parts and then changing the system for the better to drastically improve their operations in Asia and then in Europe. At P&G he worked globally with the in-house legal team to develop strategic thinking and management skills. Since leaving P&G in 2008 Graham has been an accomplished consultant, trainer and coach, and achieved great success with organisations and teams globally in developing their strategic decision-making skills, and empowering them to link their operations to overall business performance.